Do you have a sweet tooth or a salty one? I am blessed with both. But, if I had to choose between a restaurant appetizer or dessert … I’d probably pick cheesy fries over cheesecake. Our assorted palettes are fascinating. The blandest foods I’ve ever eaten were in Sweden and England. When I visited Sweden, I was surprised to find that at most hamburger stands mashed potatoes are a popular option! Swedish people typically like more bland foods: I am not a typical Svenska flicka (Swedish girl – my Mom is 100% Swedish). If my taste buds are any indication, I must be a classic combination of Greek, Chinese, Japanese, Italian, Indian, and Mexican. But, some flavors are too much for me. For three years I lived in an apartment above a nice Vietnamese family. For months the fragrance of their spices around dinner time gave me a headache and made me feel sick to my stomach; I could only imagine how their food tasted. An Indonesian friend told me that his people tend to love spicy foods and that most Indonesian women like their food even hotter than what the men can handle, smiling as sweat pours off their face at the table. My apologies if you are the exception: I’m sure there are varied taste buds in every culture. In God’s eyes, am I salty? And if I am salty, am I 100% salty? And if I am not 100% salty, am I still salty? Clearly, salt can lose its flavor. If it is contaminated with dirt or dust, it is no longer of value. The contamination of sin in my life diminishes the saltiness God calls for in me. My saltiness (Christlikeness) should cause those around me to feel as though they’ve eaten a tasty, savory snack when they are with me, causing them to thirst for Living Water. Jesus is the only One Who can fill our deepest cravings and quench our thirsty souls. Everything we eat (with the possible exception of plain rice cakes) has a flavor. And most every food leaves an aftertaste. Compare how you would feel after tasting cod liver oil versus your favorite dessert: strawberry shortcake. Quite different, right?! And which one do you prefer? That’s a silly question! What kind of taste do you leave in people’s mouths after they spend time with you? For a moment, imagine spending a day with Lot’s wife. I can’t say that she’s on my “Top One Hundred Women I’d Like To Meet” list. She looked for satisfaction in earthly things, and was no doubt left wanting. She loved her earthly possessions more than God – walking by sight instead of faith. As a result of Mrs. Lot’s poor choices, she became too salty, or salt of the wrong kind: frozen in time as a pillar of salt, alone and of use to nobody, including herself, herself and God. The next time we munch a lip-smacking snack, let’s remember to thank God for the opportunity we have to be salt for Him! 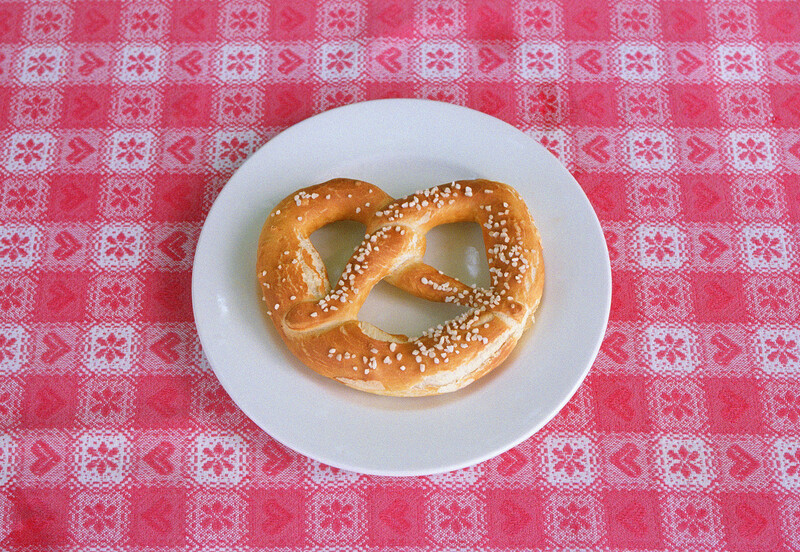 Pretzel image courtesy of Microsoft Office Free Images Online. Next > Public? Home? Charter? Christian?